Give women of your church reason to rejoice in every circumstance of life. This exciting and irresistible curriculum equips women for their daily walk with God. Experience a Women of Faith conference with insights from well-known authors as you laugh hard, learn much, pray deeply, and grow closer. Both new and lifelong Christians will find spiritual renewal, inspiration, and instruction. 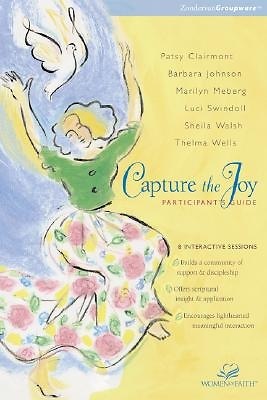 Great for groups of all sizes, the 8 sessions of "Capture the Joy will help women grow in trust, fellowship, and outreach.